The fact that all but one of the Chaplin Keystones exist is due, of course, to the star’s enormous subsequent popularity. Most of the original Keystone negatives, however, were simply printed away and the survival of all but a few of these films depends upon a very few original prints, a larger number of reissue prints, and some duped prints from later years. With the support of Association Chaplin (Paris), 35mm full aperture, early-generation materials were gathered over an eight year search on almost all the films from archives and collectors around the world, and were painstakingly pieced together and restored by the British Film Institute National Archive, the Cineteca Bologna and its laboratory L’Immagine Ritrovata in Italy, and Lobster Films in Paris. Most are now clear, sharp and rock-steady, although some reveal that their source prints are well-used and a handful survives only in 16mm. While admitting these limitations, one can now better understand Chaplin's meteoric rise, for it is possible for the first time in generations to see clearly what clever and imaginative films he made at Keystone. 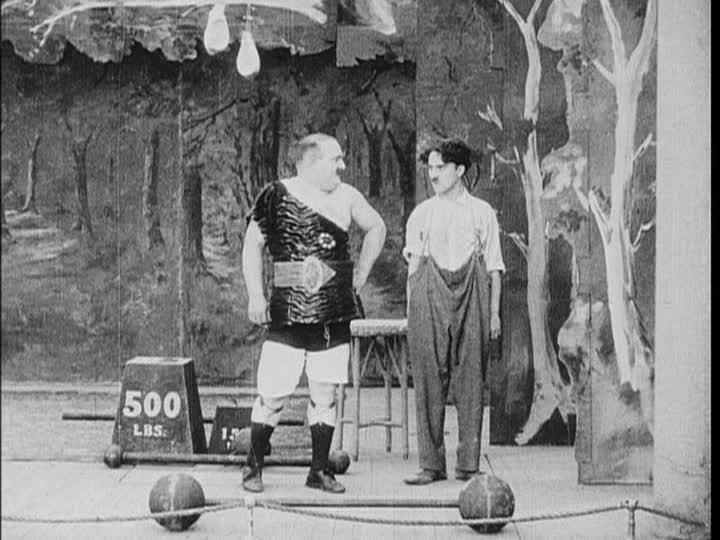 and most explosive stage of Chaplin’s creative career." CHAPLIN AT KEYSTONE is a 4-DVD collection featuring 34 restored films, all with new musical settings by outstanding practitioners of silent film accompaniment: Eric Beheim, Neil Brand, Antonio Coppola, Frederick Hodges, Stephen Horne, Robert Israel, Rodney Sauer and The Mont Alto Motion Picture Orchestra, Ethan Uslan, and Ken Winokur's band Tillie’s Nightmare with the UCLA Film and Television Archive restoration of TILLIE’S PUNCTURED ROMANCE. • A THIEF CATCHER (excerpt) - Chaplin appears as a Keystone Cop in this Ford Sterling comedy. 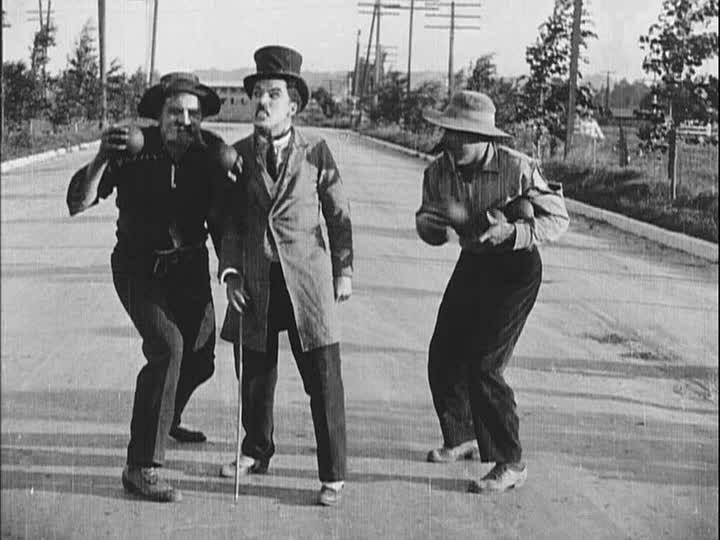 Chaplin’s scene was filmed after the completion of KID AUTO RACES AT VENICE, CAL. and, MABEL’S STRANGE PREDICAMENT, but before BETWEEN SHOWERS. A copy of the film was recently discovered by historian Paul E. Gierucki. • CHARLIE’S WHITE ELEPHANT - Animated short based on Chaplin’s “Little Tramp,” courtesy of the Lobster films collection. • INSIDE THE KEYSTONE PROJECT - A short documentary detailing the international restoration efforts featuring contributions from BFI National Archive, Cineteca di Bologna, Lobster Films, Paris, and the UCLA Film and Television Archive. • SILENT TRACES - THE KEYSTONE LOCATIONS - Historian John Bengtson (Silent Visions: Harold Lloyd, Santa Monica Press) takes a "then and now" look at several Keystone film locations in a 12 minute tour based on his book Silent Traces. • Rare Image Gallery - 50 rare and extraordinary images, including on-set production photos and promotional portraits. 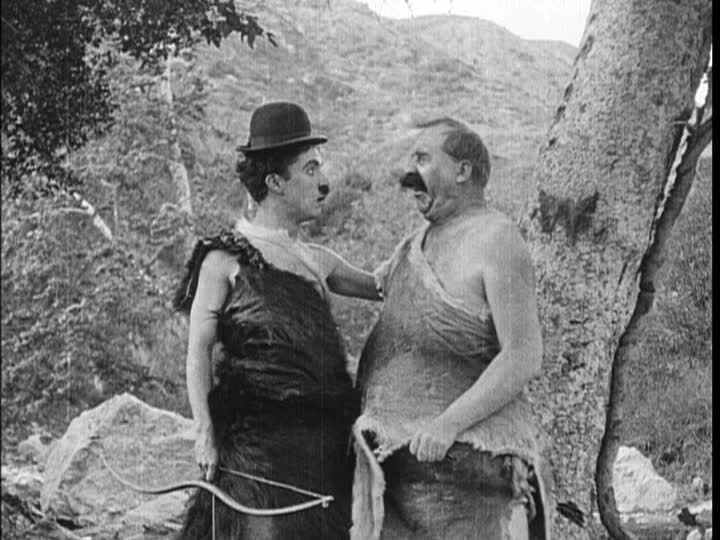 • Chaplin at Keystone: The Tramp is Born, An Essay by Jeffrey Vance - An extensive booklet provides an overview of the importance of the Chaplin Keystone comedies and detailed notes on the individual films by film historian and author Jeffrey Vance (Chaplin: Genius of the Cinema). All titles in black & white, produced by Mack Sennett and distributed by The Keystone Film Company, U.S.A in 1914, unless otherwise noted.